March 1: We gratefully acknowledge financial support administered by the Army Research Office to support a new project on the development of stimuli-responsive adhesives for wearable protection. This project will strengthen our collaborative interactions with U.S. Army Natick Soldier Research, Development and Engineering Center (NSRDEC) . 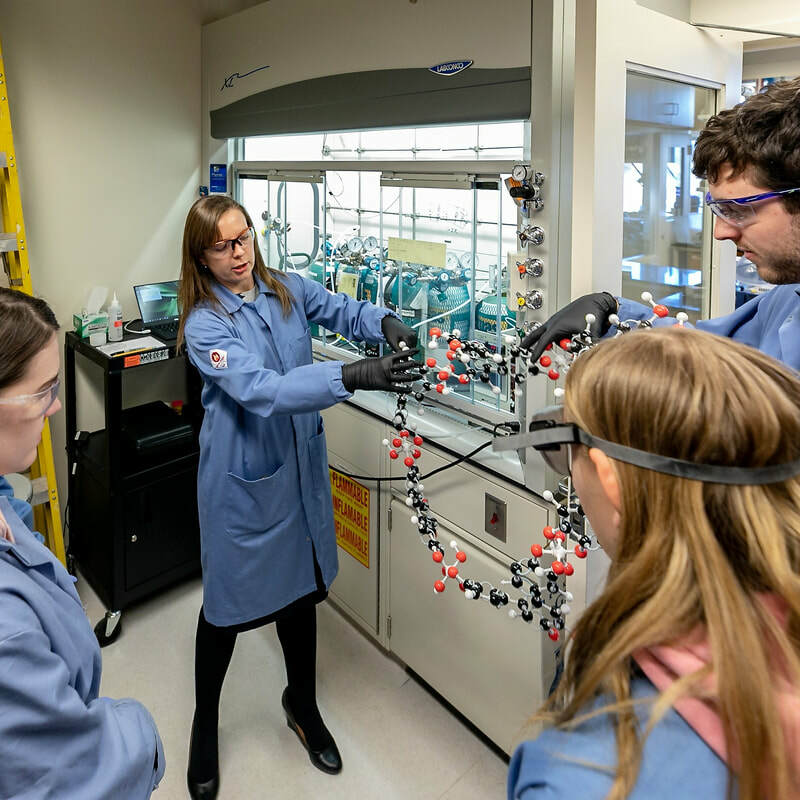 February 11: The group's work in research and pedagogy is honored with a 2019 Cottrell Scholar Award from the Research Corporation for Science Advancement. These awards provide $100,000 to each recipient identified as a leader in integrating science teaching and research at a top U.S. research university or a primarily undergraduate institution. We are extremely grateful for this honor. February 8: Great outreach event today with Upward Bound high school students who visited our lab from Vermont and NY! My group had fun sharing our enthusiasm for materials chemistry, chemical sensing, and metal-organic frameworks! February 2: We are looking for motivated high school and undergraduate students to work with us on developing wearable sensors through a paid 10-week summer internship. More information is available here for high school students: https://www.usaeop.com/program/hsap/ and for undergrads: https://www.usaeop.com/program/urap/. Application deadline is February 28. January 2: Ringing in the New Year with three new publications. Check out our recent work in J. Am. Chem. Soc., Chem. Mater., and Chem. Rev.! Congratulations to the team! January 1: The group receives a pilot grant from the Arthur L. Irving Institute for Energy and Society to support our collaborative work with Prof. Fiona Li at the Thayer School of Engineering. November 6: Aileen Eagleton, an incoming graduate student from SUNY Albany, officially joins the group. Welcome to the team, Aileen! November 3: The group celebrates 4th Annual Oktoberfest with some pumpkin carving! September 12: A new undergraduate researcher, Colin Morrell '21, joins the group as a Sophomore Scholar. Welcome, Colin! June 27: Dr. Mirica's research and teaching are featured in Dartmouth News in a "Focus on Faculty" series! June 21: Congratulations to Michael Ko and Lukasz Mendecki on the publication of our Feature Article in Chem. Commun. This work is part of a thematic collection of 2018 Emerging Investigators. June 11-12: Dr. Mirica visits 3M as one of the recipients of the 2018 3M Non-Tenured Faculty Award. May 18: Dr. Mirica's use of technology in the classroom is featured by The Dartmouth. February 15: Dr. Mirica is selected to receive the 2018 Sloan Research Fellowship: https://sloan.org/fellowships/2018-Fellows! We thank Alfred P. Sloan Foundation for supporting our work! 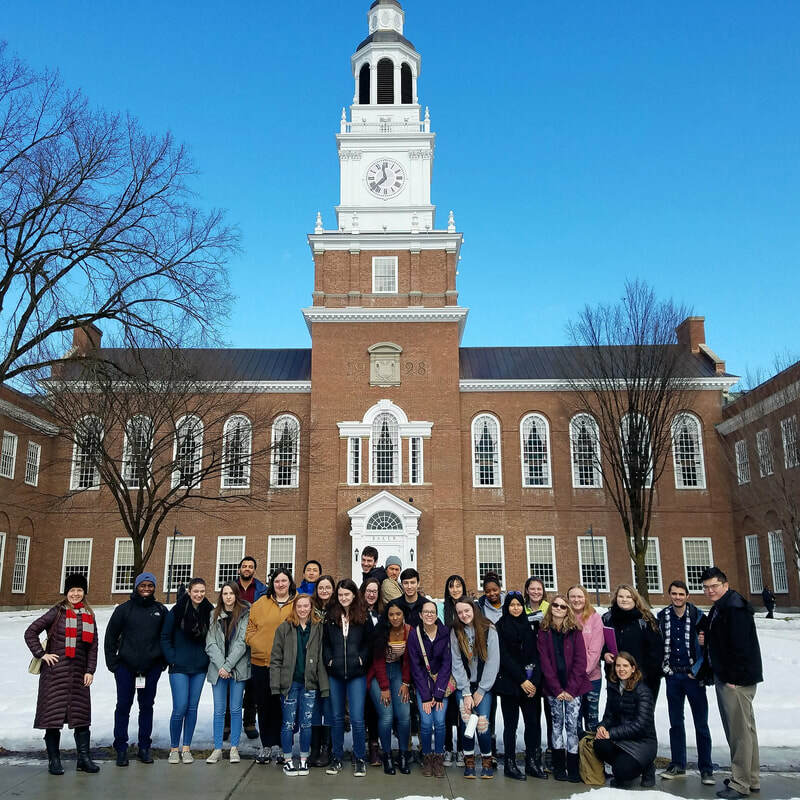 Read more on Dartmouth News about our work. January 10: Dr. Mirica has been selected as the American Chemical Society’s 2018 PMSE Young Investigator! The 2018 PMSE Young Investigators include 21 young scientists from academia, industry, and national laboratories who have made significant contributions to their fields within Polymer Science and Engineering. These scientists and engineers are emerging as leaders in the fields the synthesis, processing, characterization, and physics of soft materials and their applications. The awards are supported by the PMSE (polymer materials science and engineering) division of the American Chemical Society. The awardees will be honored with a symposium at the 256th national meeting of the American Chemical Society to be held in Boston, MA August 19-23, 2018. January 3: The group welcomes three new undergraduate interns through the Women in Science Project (WISP): Claudia Durbin, Anna Brinks, and Connie Huang! November 22: Our JACS communication describing electrochemically-actuated capture and release of ethylene is published. November 22: Our recent work is featured as Cover Art in JACS. November 20: Dr. Mirica has been selected to receive the 2018 Thieme Chemistry Journal Award. October 31: Merry's paper describing self-organized integration of conductive metal-organic frameworks into textiles to create porous sensors capable of simultaneous filtration and capture of gases is now published in JACS! September 23: Our open access contribution featuring a rapid prototyping approach for making chemiresistive sensors from metal-organic frameworks is now published in a special issue of Sensors: "Chemiresistive Sensors: Status and the Future"! Congratulations to Michael, Aylin, and Merry! August 2: We thrilled to announce that our work on magnetoelectronic sensors for gasotransmitters has been selected for funding by the Army Research Office Young Investigator Program! June 14: Our new laboratory module on the topic of functional nanomaterials and chemical sensing is published in the Journal of Chemical Education! Congratulations to Merry, Daphnie, and Polina! May 23: The synergistic integration of undergraduate and graduate research in our group is featured by the School of Graduate and Advanced Studies. March 16: Our work is featured by the Dartmouth's News Office. February 25: Our collaborative work with Prof. Douglas Van Citters from the Thayer School of Engineering at Dartmouth is now published in Chemistry of Materials. Congratulations to the team! January 17: Congratulations to Robert Stolz on passing his 2nd year qualifying examination! January 14: The group celebrates winter with the second Annual Winter Party! January 4: We start the New Year by welcoming three new researchers to the group: Dr. Lukasz Mendecki and two WISP interns Louisa Greenburg and Carly Tymm. December 9: Prof. Mirica is featured on the Nature Chemistry's blog. September 17: The Group enjoys 2nd annual Oktoberfest at Dr. Mirica's home. 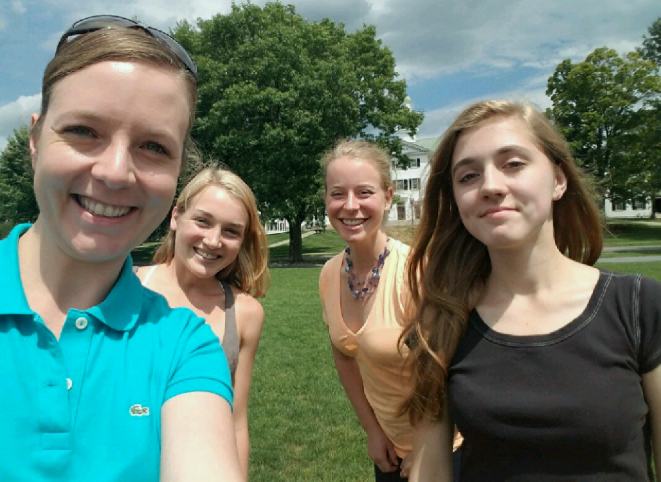 July 14: Congratulations to Merry Smith, Kennedy Jensen, and Polina Pivak on having their paper accepted to Chem. Mater. Well done! July 1: The group welcomes Roisin O'Brian as a visiting undergraduate researcher from the University of San Diego through the "Bridges to Doctoral Institutions" program. We are also delighted to welcome back Nicholas Blelloch as an incoming PhD student and Polina Pivak as Summer II ACS SEED high school student! June 3: Congratulations to Alice Hsu '19 for being awarded Barbara E. Crute Memorial Internship for her research in the group! Also, congratulations to Daphnie Martin '19 and Benjamin Lee '19 for receiving Sophomore Science Scholarships! May 28: Four group members present at Dartmouth's Fluorine Symposium organized by the Department of Chemistry to honor careers of Prof. Russell Hughes and Prof. David Lemal. 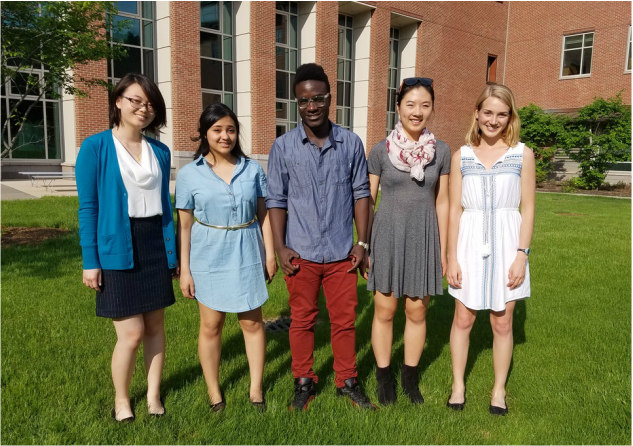 May 26: Five of the Mirica Group undergraduates present at the Dartmouth's annual Karen Wetterhahn Symposium! May 24: Congratulations to Kennedy Jensen '18 being selected as a James O. Freedman Presidential Scholar Research Assistant for 2016-2017 by the Undergraduate Advising and Research Office at Dartmouth. 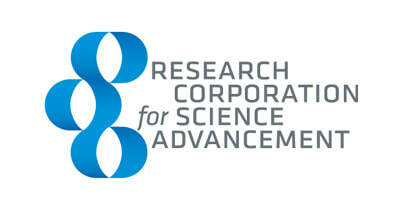 We are very grateful for the generous support of Kennedy's research from this program! April 5: The group welcomes a first year graduate student Robert Stolz! March 10: Congratulations to Samwel Bahebe '18 on being awarded a Sophomore Science Scholarship to sponsor his work in the group during the Spring Term 2016! March 3: Congratulations to Kennedy Jensen '18 on being selected as a Neukom Scholar for the Spring Term 2016! Jan. 23: The group celebrates Winter with the First Annual Winter Party. Jan. 4: We are delighted to welcome three freshman undergraduate interns to the group sponsored by the Women in Science Project (WISP). Welcome Sharon Bian, Alice Hsu, and Daphnie Martin! Dec. 22: We are grateful for the support of our research from the Walter and Constance Burke Research Initiation Award. Dec. 1: Samwel Bahebe '18 joins the group. Nov. 19: Dr. Mirica's course assignment on editing Wikipedia is featured on Dartmouth EdTech blog! Nov. 9: The Mirica Group hosts an outreach event with the Upward Bound high school students from Vermont. Nov. 1: The group welcomes Dr. Xiaoping Zhang as a Postdoctoral Scholar. Sept. 29: We are excited to welcome Melvin King '16, a Dartmouth College Senior, to the group! Sept. 15: Dartmouth undergraduate student Kennedy Jensen '18 joins the group. Congratulations to Kennedy on winning the Sophomore Science Scholarship that will sponsor her research in the group during the fall term! Sept. 1: We are delighted to welcome Dr. Merry Smith as a Postdoctoral Scholar and Haydn Mitchell as a Research Scientist. Aug. 28: The group bids farewell to Nicholas Blelloch and Polina Pivak. Thank you for your contributions to launching our research program this summer! ﻿Aug. 6-8: Dr. Mirica attends the Cottrell Scholars Collaborative New Faculty Workshop and learns about some fantastic active learning strategies to implement in her classroom. July 16: Experiments begin! N﻿﻿2﻿﻿ filled balloon in "Dartmouth Green" color for extra school spirit! July 1: Mirica Group welcomes its first members! 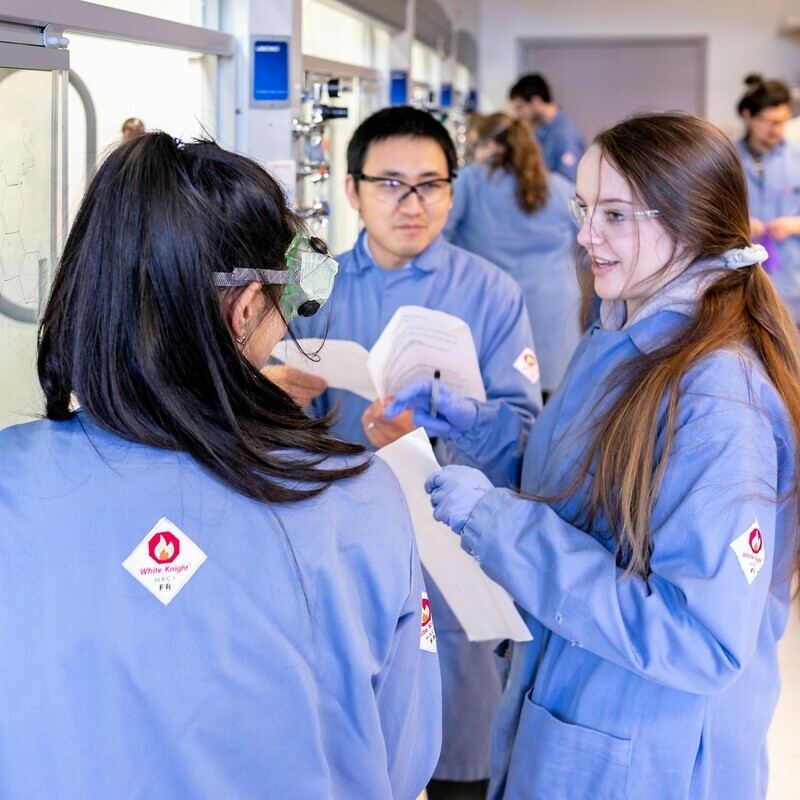 We are delighted to welcome two incoming PhD students Michael Ko and Aylin Aykanat, summer undergraduate researcher Nicholas Blelloch, and ACS SEED sponsored high school student Polina Pivak. Welcome to the team everyone! May 19: Mirica Group launches a website!